You are wondering how to tickle the best results out of your favorite photographer? You can indeed do a lot about it. My first tip was to find the right imagery for your target group – you can read the article here. So assuming that you already have a rough notion of what’s going to be in your pictures, besides your product, the next step should be to think of the last one: determine the ways of publishing your campaign. Where would you like to reach out with your advertisement? For the photographer this is on the one hand good to know, so he or she can estimate the sizes and aspect ratios of the images you need. But we are going to give this the once-over in my next tip-article. On the other hand knowing the medium can help you contrive your pictorial design better. You will find out why in the following. Depending on whether your pictures are going to get published as your main campaign, like e.g. on your website, as posters and in magazines, or on the contrary as extra material, e.g. only on your social media channels, the substance of the images can be very different. For your website and print advertisements it’s all about showcasing selected samples of your collection, so their prominence shall be the priority when creating a concept. You might want to make sure the product is properly visible and looks high-quality, or at least very appropriate to your brand’s philosophy. You should also keep sight of the fact that the pictures need some space for some later enhancements like your logo or a slogan and those usually require some smooth and flat backgrounds to be perfectly legible. You’ll be on the same page with your photographer, if you tell him or her about the typography you’re planning to incorporate, so he or she will take care of the appropriate image sections. It doesn’t hurt if your (web) designer gets involved in the process of preliminary discussions, so this one is able to tell you how far the photographer can capture format-filling images or rather place the model left, center or right in order to e.g. create a banner. Having this in mind, the options you have can shrink or extend, but in any case it will add clarity to your plans. That is to say that it will, in a way, allow you to narrow down to certain settings and model poses. When it comes to social media dedicated material, things can be a little more playful or going into detail, if you wish so. Because there you can establish a committed community, show people the soul of your brand and win your target group’s hearts. For your pictures this means that you can give lots of your ideas a trial and show yourself being bold, up-to-date and eventually funny too. As every social media network uses different formats, this could be a problem, especially when you want to use the pictures at various channels. If you want to avoid that your pictures get cropped unfavorably and loose their charm, it’s better to shoot them in a way that leaves enough space around whatever you want to show. That way you (resp. your designer) can crop them in many different ways and create bespoke social media content. Another strategy could be showing your collection from another point of view. For example you can literally bring your products closer to the users by showing detail shots – these are usually full of atmosphere and they’re basically tolerant against cropping. 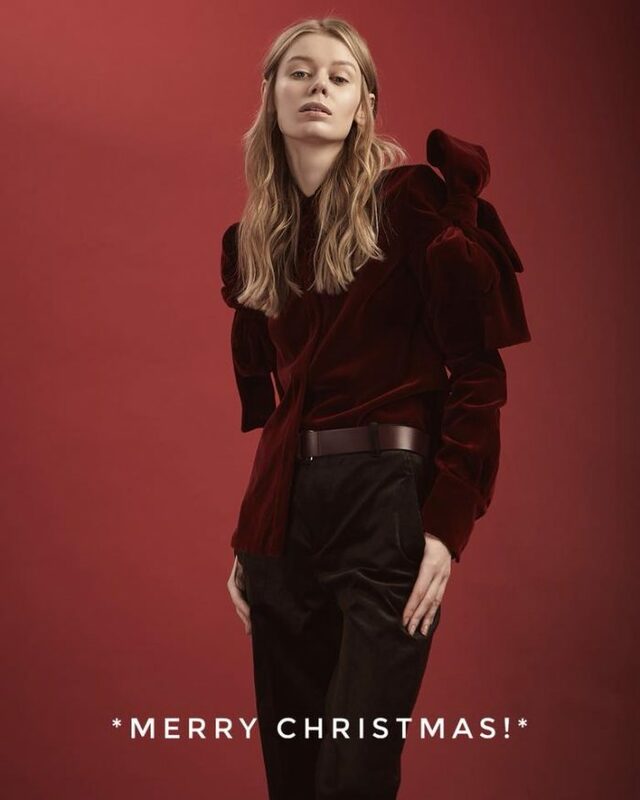 In my opinion a reasonable basis to advertise your new collection is a proper campaign gracing your website and eventually some print media and advertising surfaces. Anyway, you can use the images on Instagram & Co. too and therefore be present all over. The hitch is that social media are very fast-paced and you’ll soon need more content. In order to add value to your accounts you might be doing best, if you go produce some extra material for your social media channels, at least for the ones that matter to your brand. But which ones really do in your case? You may have already heard a kid saying that “facebook is so boring!” It’s right that nowadays the elder generations use facebook most, while the very young ones are rather on Snapchat. Instagram is in between both and since it launched “Stories” it serves a good mix of generations. Yet, the most active Instagram users are 18–34 years old (source: statista.com). Moreover there are still people not using social media at all and believe it or not: they’re not all over 80 years old… As a conclusion your campaigns & content need to be placed on the right platform, if not everywhere, and ideally it should be perfectly adapted to it. A smart and complete fanpage declares your brand official and creates a certain trust. Therefore you might regard it as a basic thing to post your official campaign photos regularly. And if your target group belongs to the more mature generations, it might turn out to be your very platform to supply more interesting stories on your brand or run some lotteries, advertorials, etc. With some brand-new pictures accentuating your actions you’ll probably catch more attraction, make things understandable and cause interaction. For example during Christmas time, you could be the one giving people advice on how to dress for the holidays or even surprising them with a calendar every day. At the same time you’re showing your product and promoting costumer loyalty. To mix it up you could also try reaching some younger folks through live videos or funny pics, gifs, memes, videos, etc., depending on your brand’s identity. As those posts are better visible, resp. they have a good range, they can help you keep your fanpage alive. To put it straight, you can be very creative and diverse on facebook, but yet it’s an advantage to have a strategy in mind and be consequent about it. Since there’s no limit to your ideas a clear draft obtains greater importance, especially by the time you involve a photographer. It will also help you realize, if your concept is able to work out, and give you a chance to remediate the details, possibly by the help and expertise of your photographer. 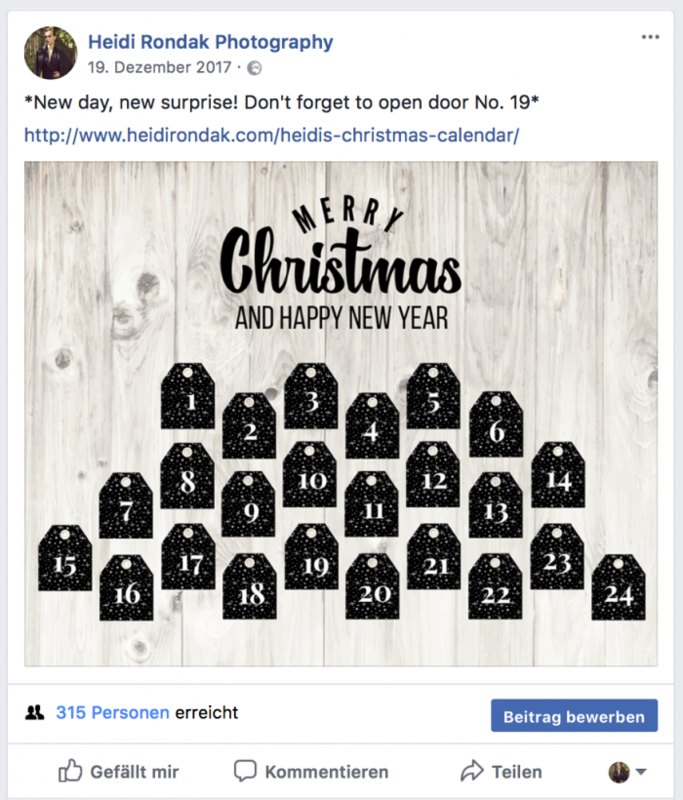 How about an Advent calendar on facebook to surprise your fans every day? If your target group is very visual and young/old enough for Instagram, this is obviously the platform living by good photography. There are certain tools to reach more people like e.g. hashtags or cooperations with influencers, etc. It’s also a good medium to give someone a first impression of your brand, because you can give your gallery a manageable style according to your imagery. By using Instagram Stories you can give away more casual information and yet keep your gallery tidy. 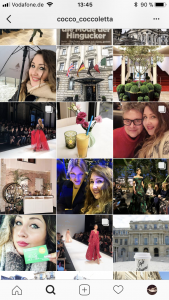 For the fashion industry Instagram has pretty much qualified as the most important social network. It somehow succeeds to connect people – maybe because the numbers of followers and likes are extremely valuable here, so the users keep interacting to obtain higher numbers. Anyhow, on Instagram we are dealing with a picture overload. The goal should thus be standing out to gain new fans and yet being authentic to maintain the audience. The most important about Instagram posts is your brand staying true to itself. Whether you go for posting mostly “professional” images like your campaign, product photos and editorials showing your fashion, or rather “casual” shots like street styles, behind the scenes snaps, and suchlike please make sure to communicate the essence of your brand, otherwise it could happen that your gallery is merely a copy of other successful ones. If you’re e.g. standing for high life, posting VIPs who are wearing your fashion on the world’s red carpets seems reasonable. On the other hand, this would be good “Stories” material and so you could go for some (lets call them) mini campaigns, which are beautifully realized, in your gallery. By creating extra content, your message incorporates your merits much more exactly and on top of it the images look premium-quality. You’re also stating your participation in the higher leagues and that as a trend setter, not as a laggard. Nevertheless, the strategy depends on your product of course. For example sporty clothes or denim styles are clearly brought to life when captured in the right context, like e.g. in urban surroundings. 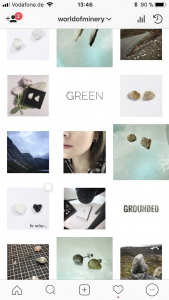 Basically, your concepts for shooting Instagram content can be a simpler version of your regular campaigns and you can realize all the extra ideas you’ve had here. YouTube is another giant amongst social media platforms, but we’re talking about photography here, so please forgive me for skipping details on it in this article. Ditto for Snapchat, Twitter and television ads, otherwise we’d lose the thread. It’s mostly useful to work with influential models, especially when your pictures are made for Instagram. However that means that you should be able to afford a higher model fee, so the total budget for your campaign or action needs to allow for that case. The good news is that the influencer market changes these days. It gets more and more convenient to bet on users who have “just” four- or five-digit followers, rather than cooperating with the very stars, because they often have a real community that is truly interested in that person’s content. The chance of producing good results is good, when they cause interaction. Besides choosing someone who’s constantly keeping up the dialogue with his or her fans, you can yourself make sure to find an imagery or theme that encourages everyone to comment or share it. Either can you make scenes or topics from the lifestyle of your target group a subject of discussion, or you can focus on very striking images which make them curious about your brand. Testimonials draw your customers’ attention to your brand. Here you can see Caro Daur who’s an important fashion blogger and instagram influencer in the German and international markets. 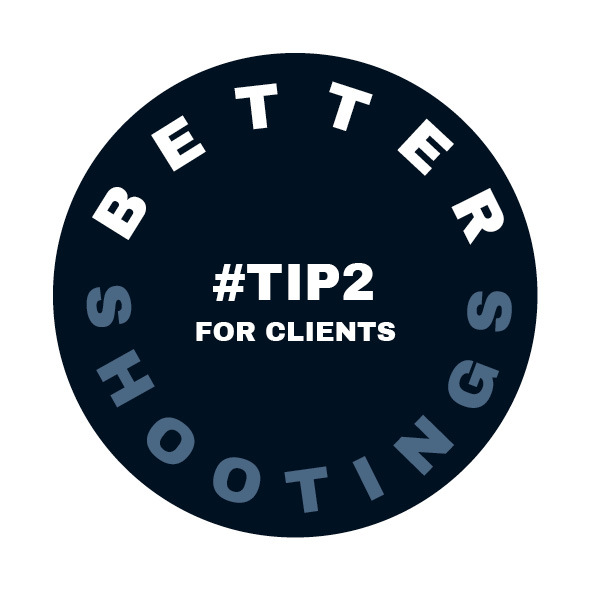 Conclusion: Knowing at which channel you want to use the photos helps you or the art directors orientate the shooting concept towards the the visual language of your costumers, fitting their age and manners. Thus you can tell the photographer exactly what you need. The more information he gets from you the merrier he can bring in his expertise to provide you with the results you wish for.